Demands for water, food, and energy are rising owing to increasing population and growing economy. Agriculture is the main source of food and is the largest consumer of water and has therefore the greatest impact on water security. It also greatly affects energy security and is also the main source of non-point source pollution. Changes in the availability of water, energy, and land are driven by uncertainties in nature and strongly affect food production, with severe implications for the security of water–food–energy nexus (WFEN). Thus, a coordinated and effective management of WFEN in the agricultural sector is needed. This paper therefore proposes an integrated modelling approach for the optimization of agricultural WFEN in a random environment. 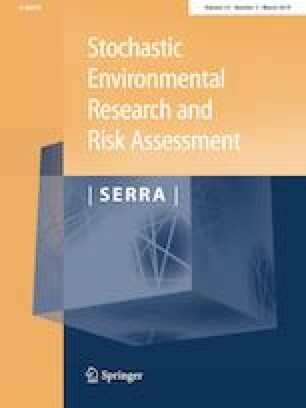 The approach quantifies the interactions and feedbacks within agricultural water, food and energy subsystems, making tradeoffs between agricultural benefit and environmental impacts, which will serve as sustainability indicators for agricultural systems, including crop farming and livestock farming. The incorporation of stochastic mathematical programming in the modeling framework aids in understanding how strategies and comprehensive benefits change under different scenarios. The approach was applied in a real-world case study in an irrigation district in northeast China. The development and implementation of such an integrated approach are anticipated to be applied in other agriculture-centered regions to guide policies of sustainable water, food, energy and land resources management. This research was supported by the China Postdoctoral Science Foundation (2018T110264), National Natural Science Foundation of China (51809040, 51709195), and Natural Science Foundation of Heilongjiang Province of China (E2018004 and E2016005).